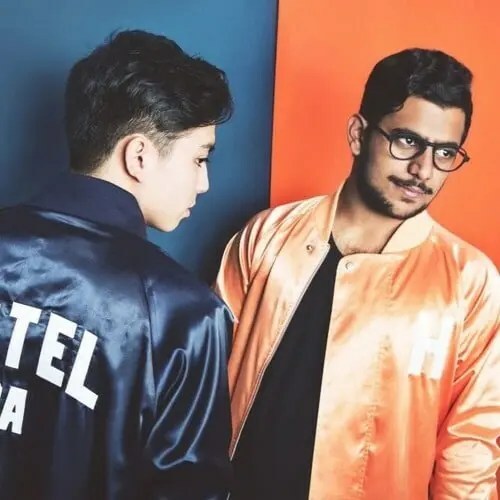 Artists from all over the world are flying into NYC to perform this Halloween weekend and we had the chance to check in with a few, including this DJ/producer duo known as Hotel Garuda. The two artists, Manilla Killa and Candleweather hail from Indonesia and are known for their remixes and remakes. Their first original song “Smoke Signals” premiered this year on PRMD Music and has received an impressive 1.3M plays on SoundCloud alone. They have been making appearances all the U.S with the likes of Gryffin, Oliver Heldens, Nora en Pure and more. Check out our exclusive interview with the group and see them live with Oliver Heldens at The Brooklyn Hangar. Your Halloween performance with Oliver Heldens at Brooklyn Hangar is coming up this weekend. What can fans expect from a typical Hotel Garuda show? Fans can expect a set of cool songs we enjoy from our friends, peers and ourselves – we pride ourselves on our DJ sets and we’re surely bringing the heat this weekend. Will you be showcasing anything new on tour before 2016 is over? Yes! we’re working on a few new remixes that we’re gonna start playing out when they’re ready. In the spirit of Halloween, if you could collaborate on a song with anyone, dead or alive who would it be and why? Aseem – Bon Iver because he’s my favorite artist dead or alive. I just saw him live for the first time and lost my mind, it was so beautiful. Chris – I would love to collaborate with M83. I’ve always been a fan of the dreamy soundscapes and orchestral elements incorporated in the music. What genre of music would you you both be playing if you were born before electronic music? Aseem – probably some kind of metal. i played in metal bands growing up. Chris – Something similar. Maybe not metal – but definitely something in the pop-rock realm. I was a big fan of Blink 182 growing up. In 2016, you debuted your first single “Smoke Signals” with over 1.3M plays on SoundCloud. Can we expect more original releases in 2017? Yes! We will be making a lot more original material going forward, but we also love doing remixes and will be putting some of those out too. Where did you draw inspiration for “Smoke Signals”? What can you tell us about the song? Smoke Signals came about as a collaboration between us and the singer on the record because her team had sent us her demo vocals, which we loved. From there we just did a session to get the arrangement right and after that, we finished producing the instrumental. You both have solo aliases, how do these careers fit in around Hotel Garuda? Aseem – Candle Weather is my outlet to make random, experimental stuff that i don’t think would fit the Hotel Garuda vibe as well as our current material. It’s fun to be in either mode of making things for my solo alias or for Garuda and see what happens in each case. Chris – Manila Killa was my first project and it was the project that didn’t have that much of a clear direction as HG did – I apply a lot of the production techniques that I learned throughout the years as MK and incorporate them into the house music / melodic blend we have going on as HG. A google search for Hotel Garuda shows your SoundCloud, Facebook and Twitter. Where else can fans get updates on your music?